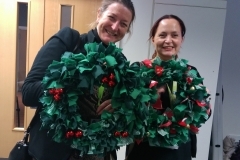 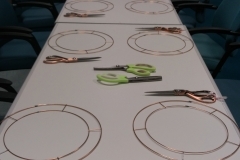 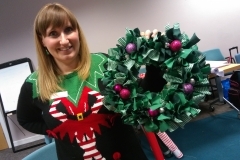 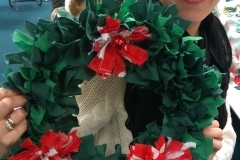 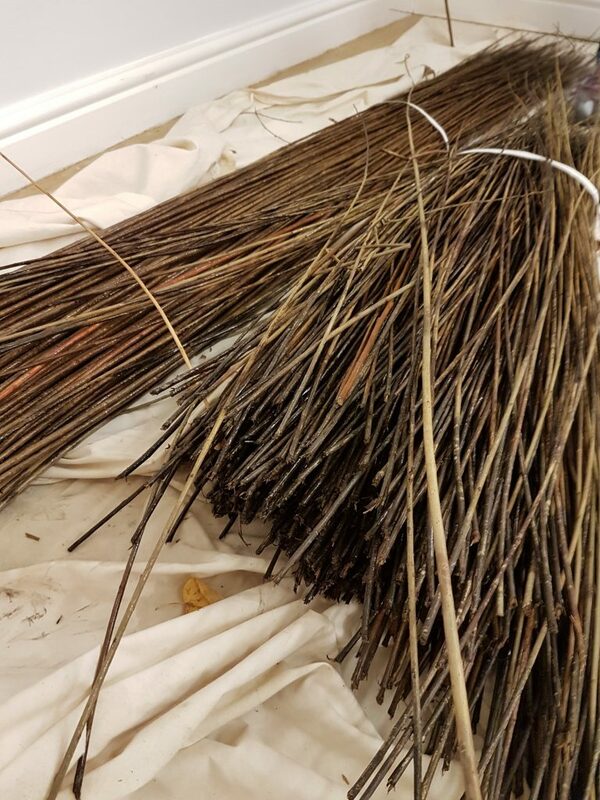 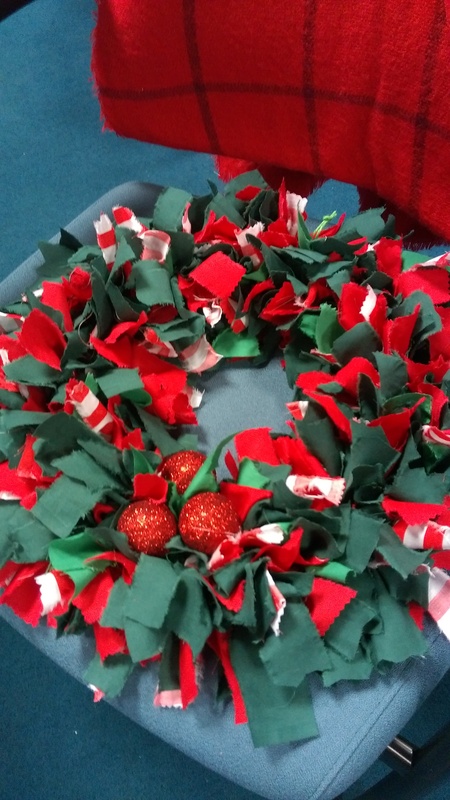 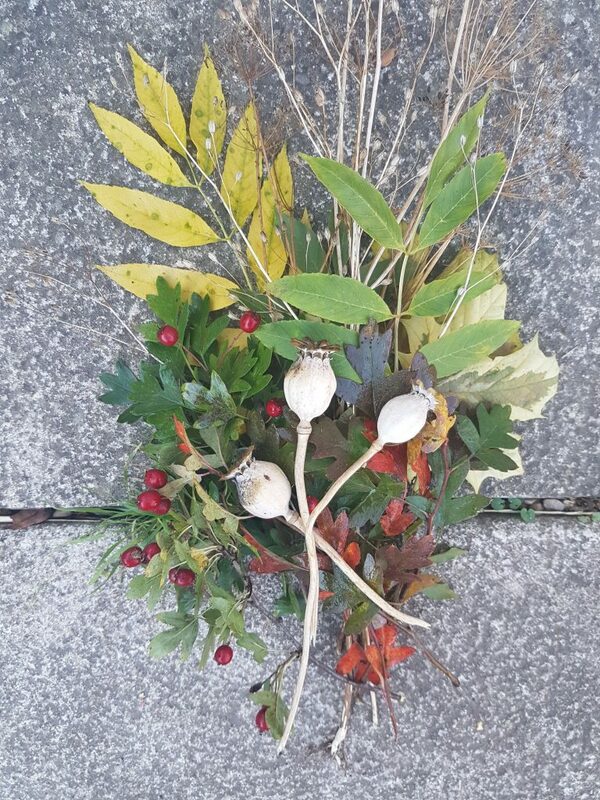 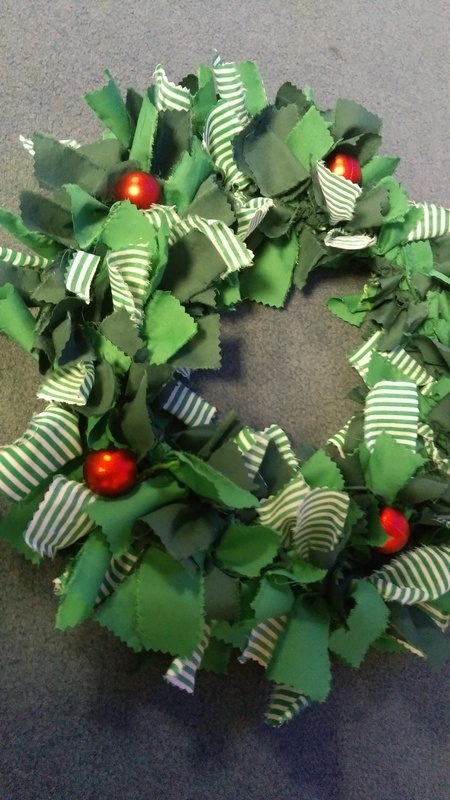 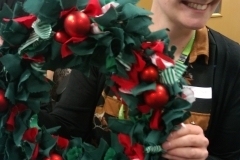 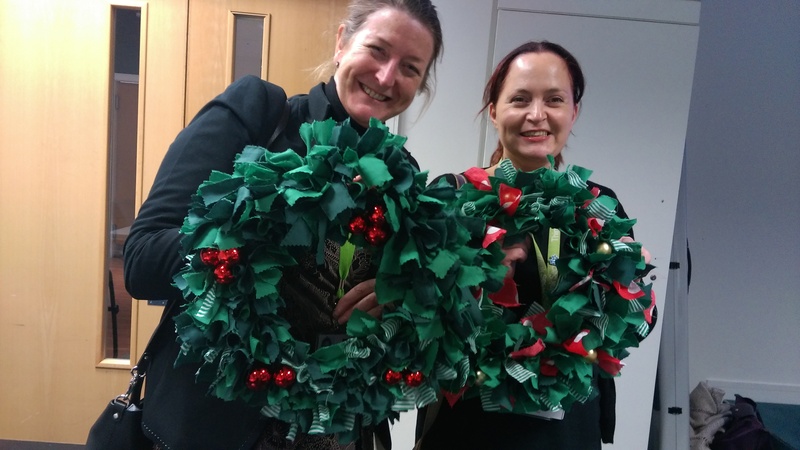 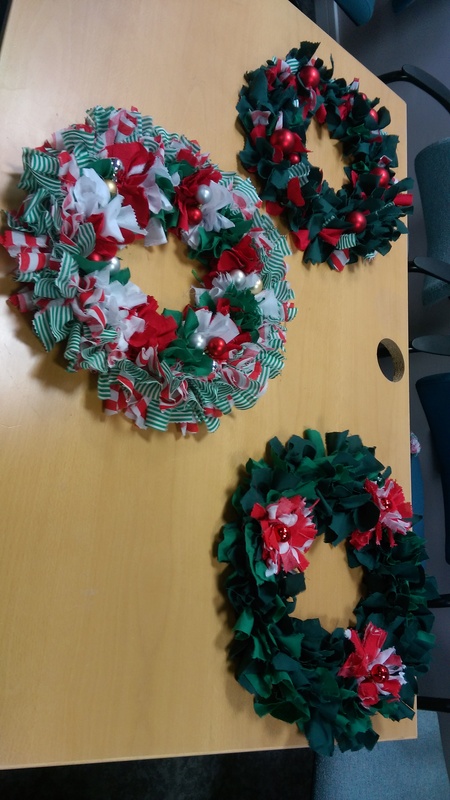 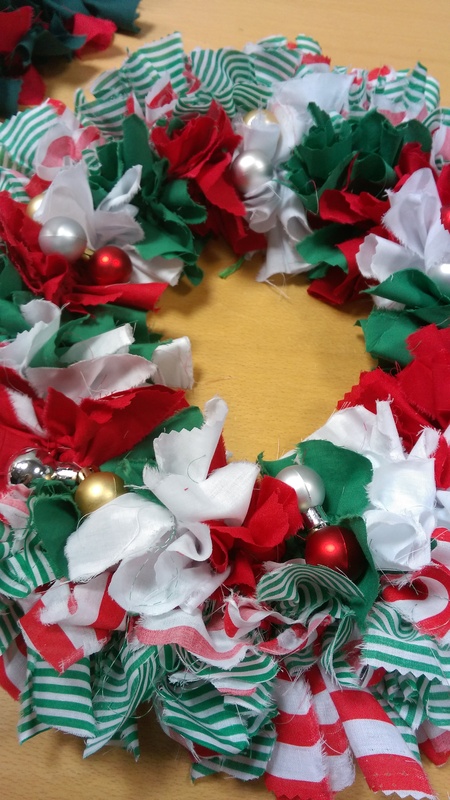 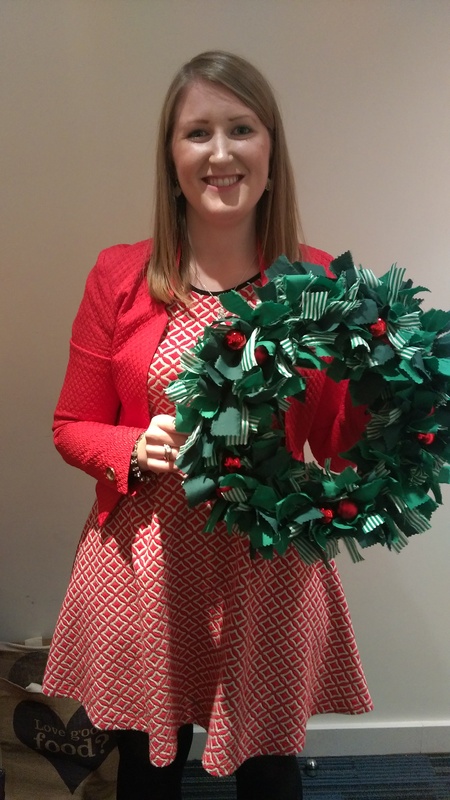 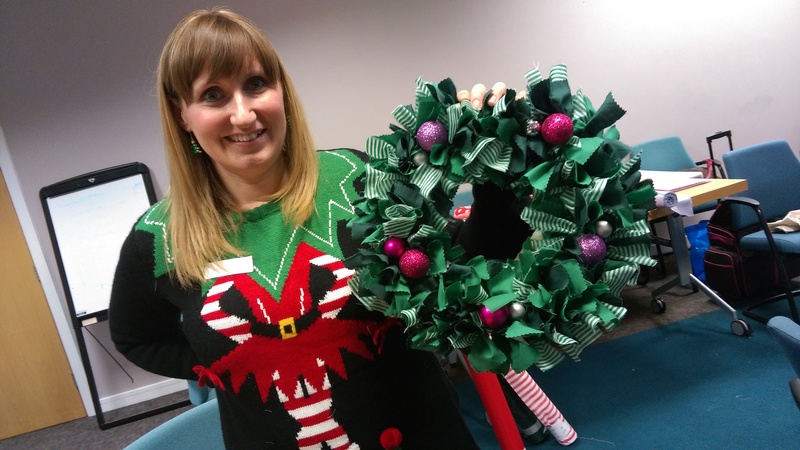 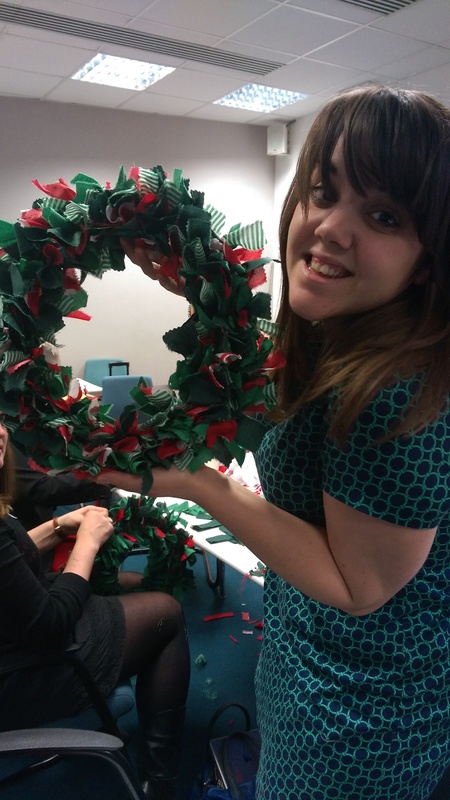 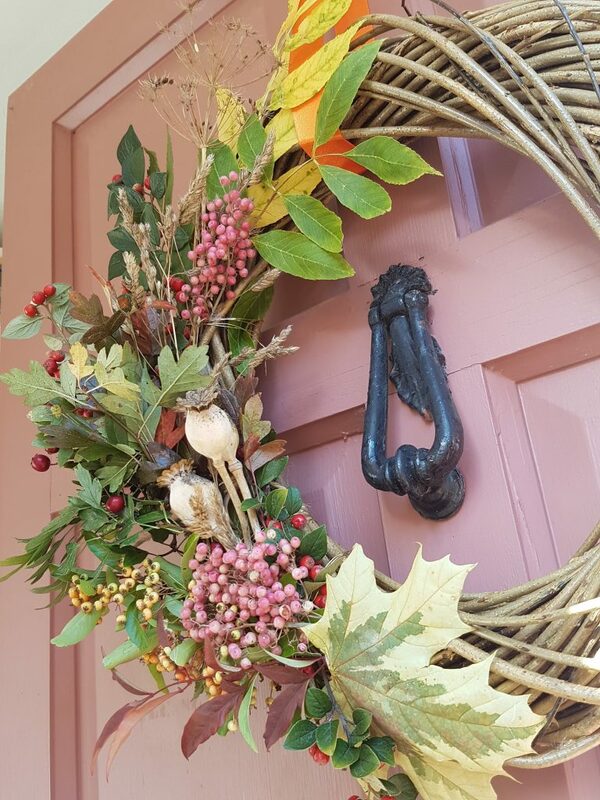 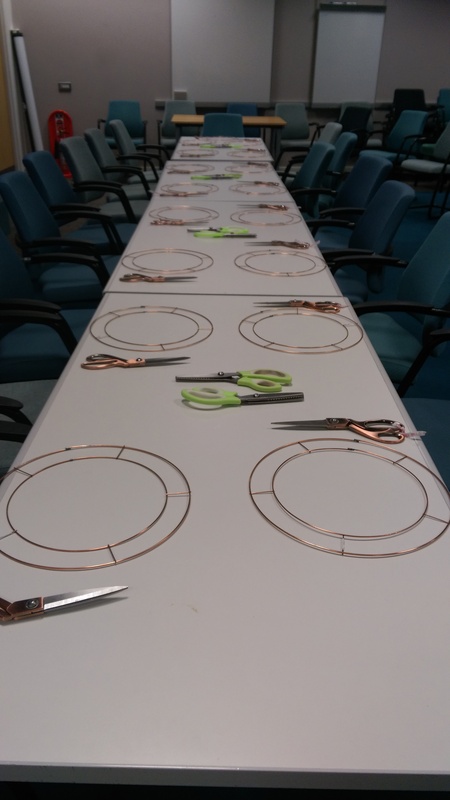 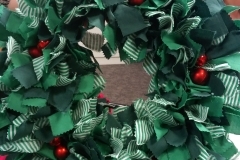 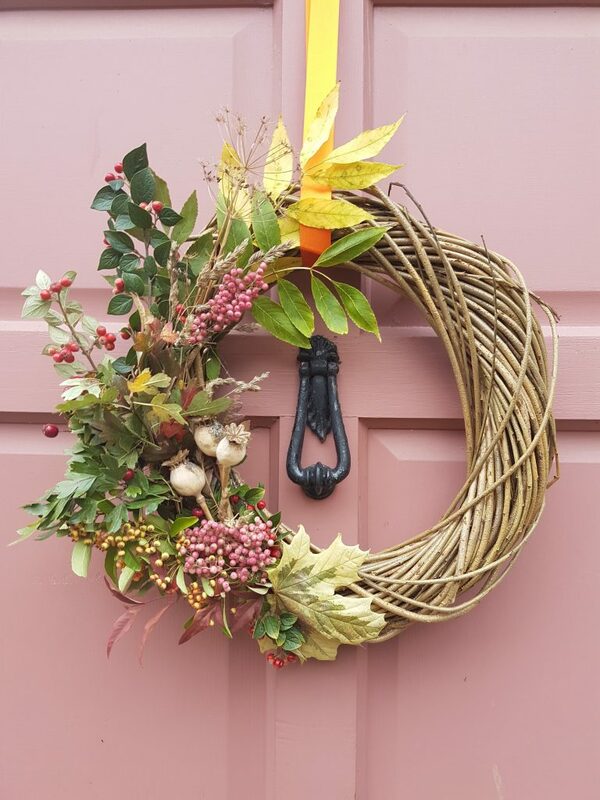 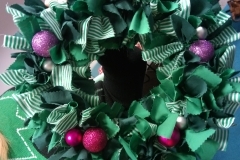 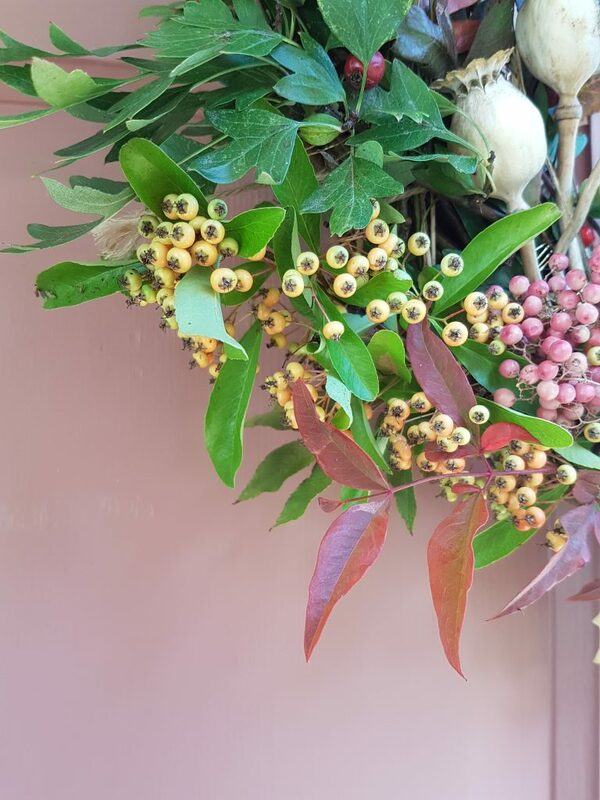 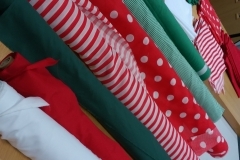 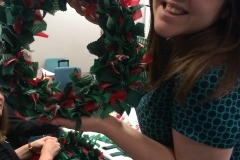 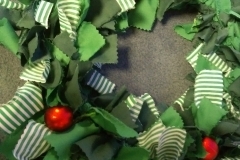 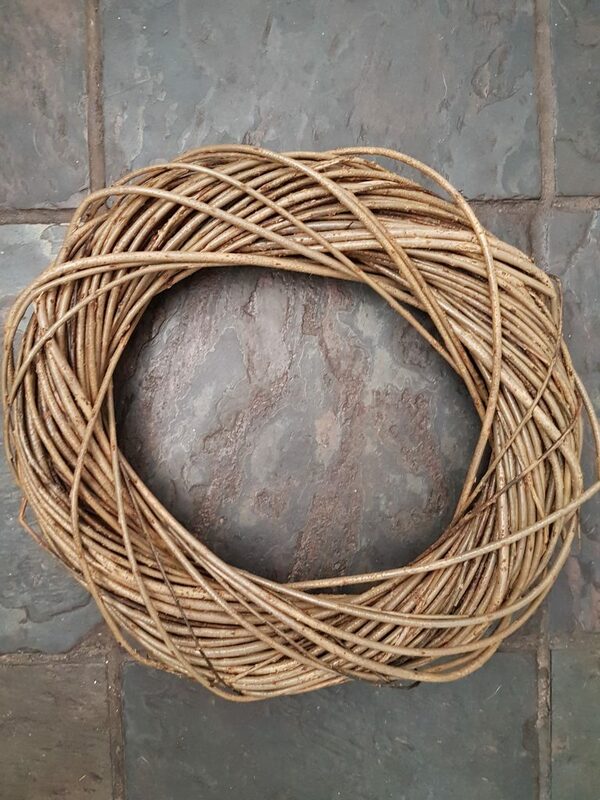 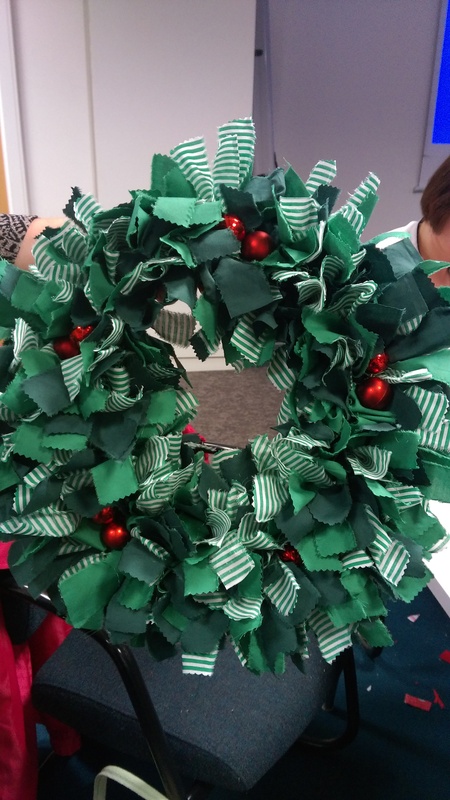 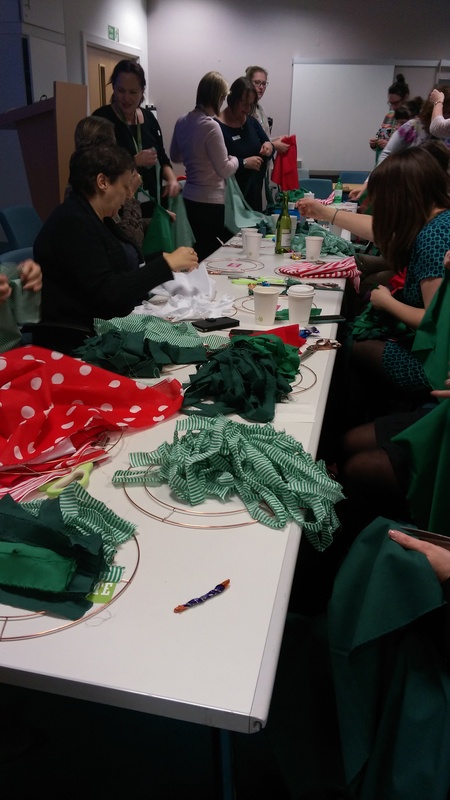 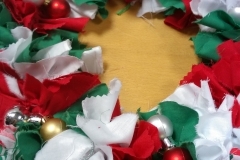 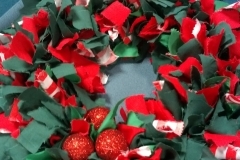 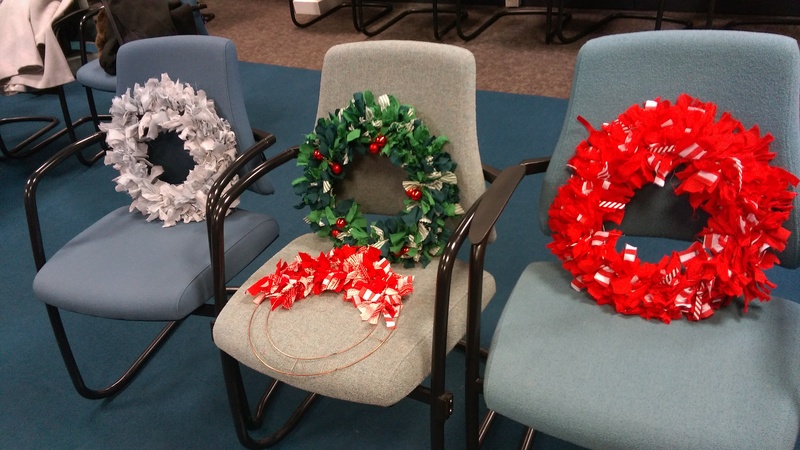 John Lewis and Waitrose Head Office – Fabric Wreath Workshops! 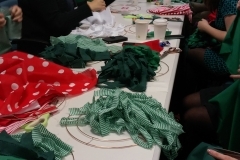 Las t Wednesday and Thursday evening I had the pleasure of holding craft workshops with the John Lewis Partnership Craft Club to make some lovely festive fabric Christmas wreaths! 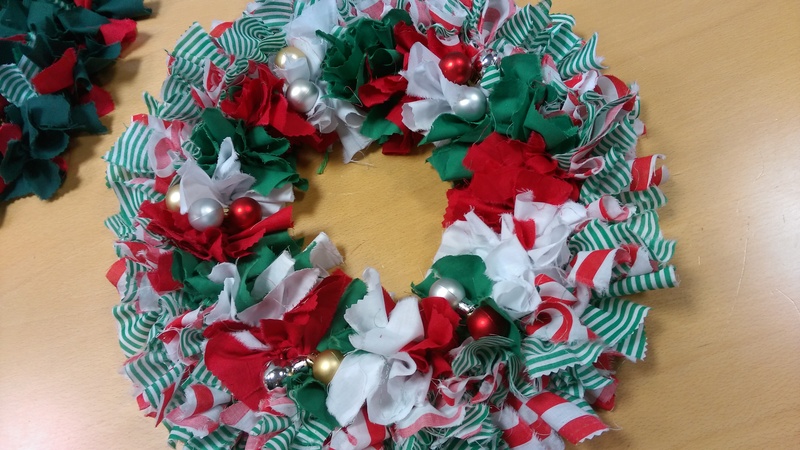 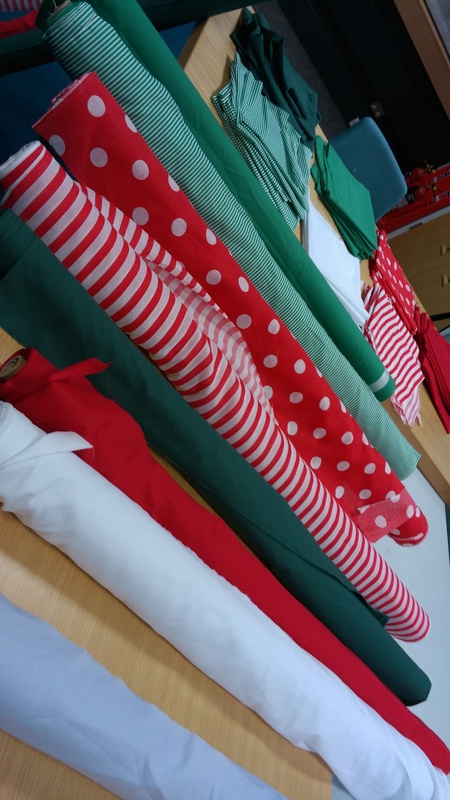 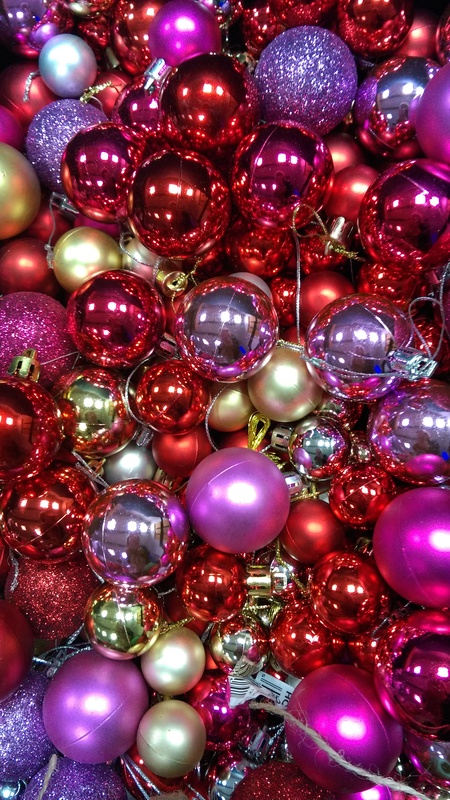 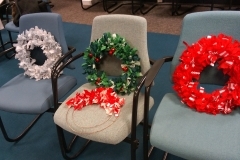 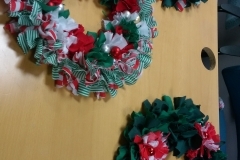 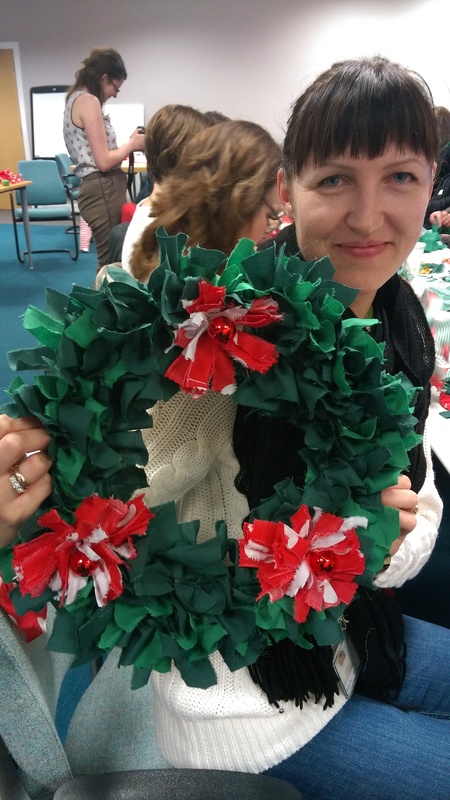 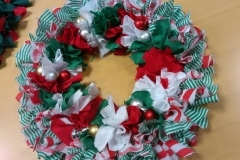 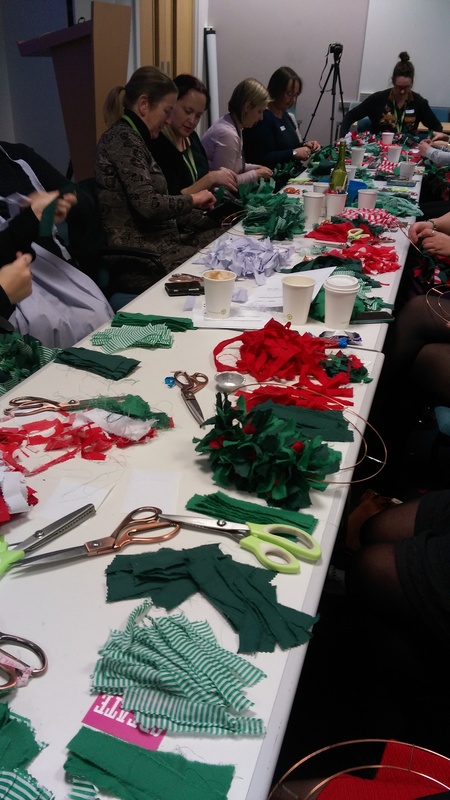 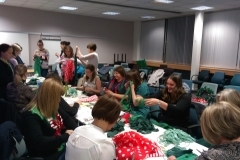 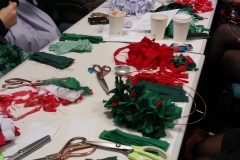 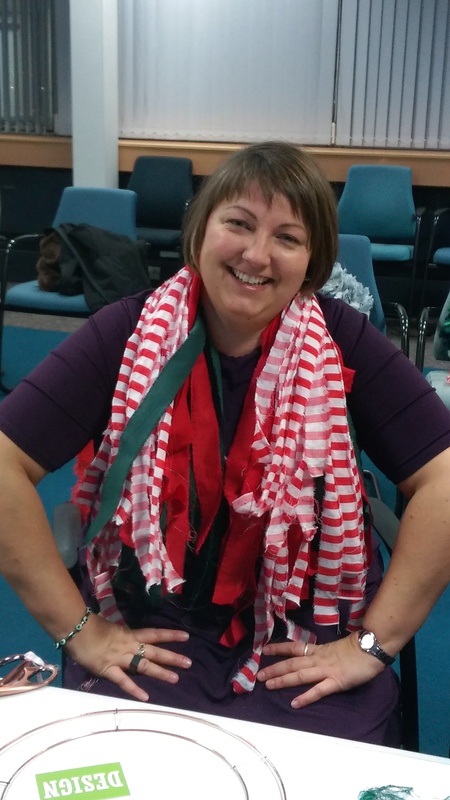 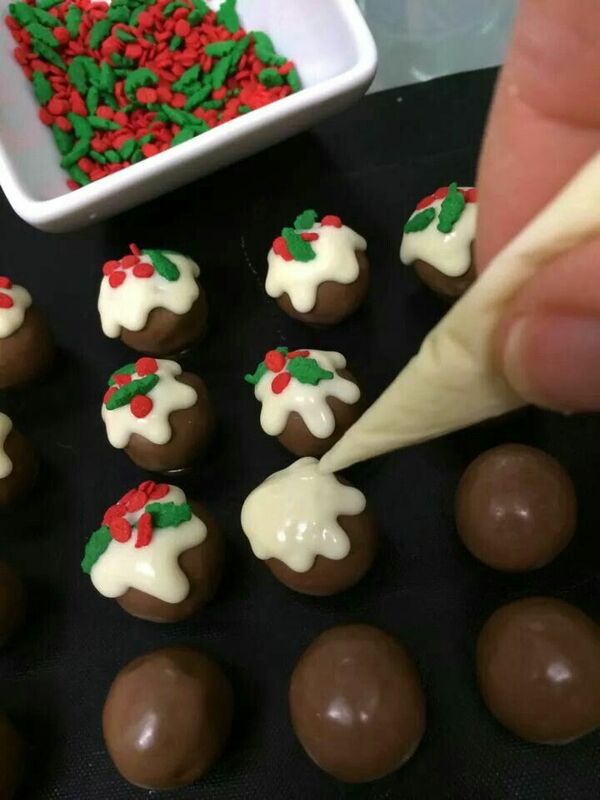 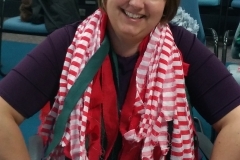 Starting on Wednesday at the Waitrose Head Office in Bracknell, where 19 of us were not only making our fabric wreaths – we were singing along to some festive carols and music, there were mince pies, Cadbury’s roses… it certainly felt like Christmas! 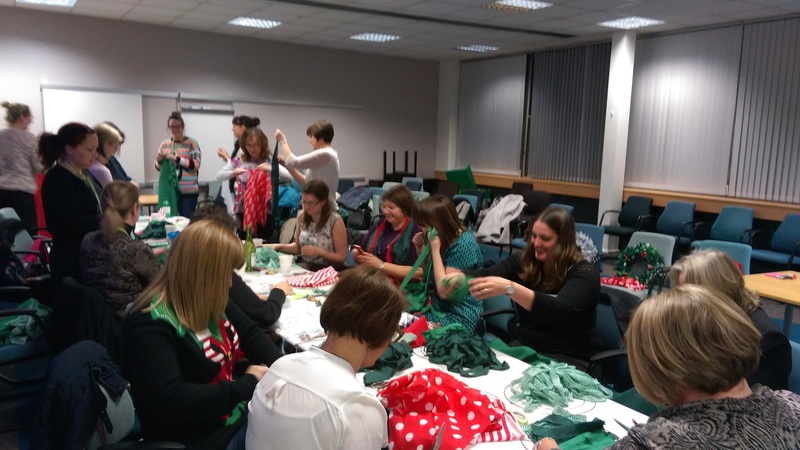 The event was even filmed for the Waitrose Advent Calendar (a daily internal video highlighting what partners at Waitrose have been up to!) 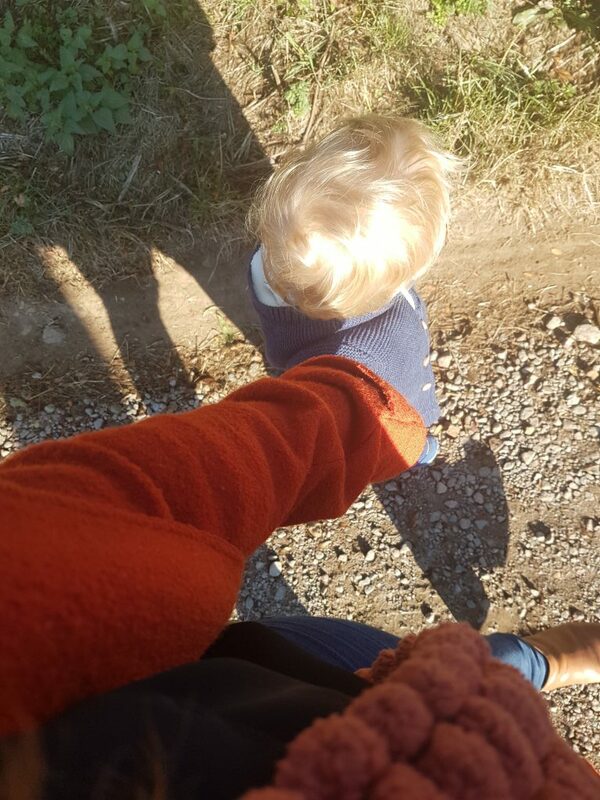 and, I have been lucky enough to be allowed to also use the video in this blog post. 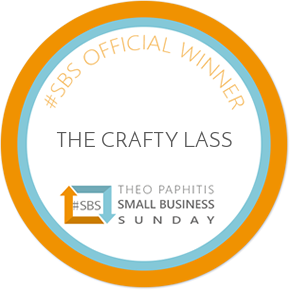 Check out here how we got on! 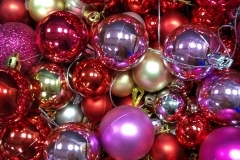 I had a really important moment over the last two days – with the magical mood, festive music, and lots of people enjoying themselves…it felt like – this is it! 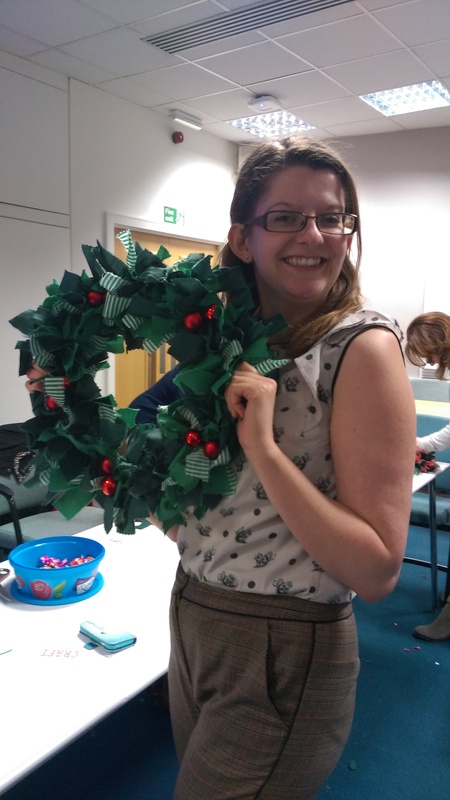 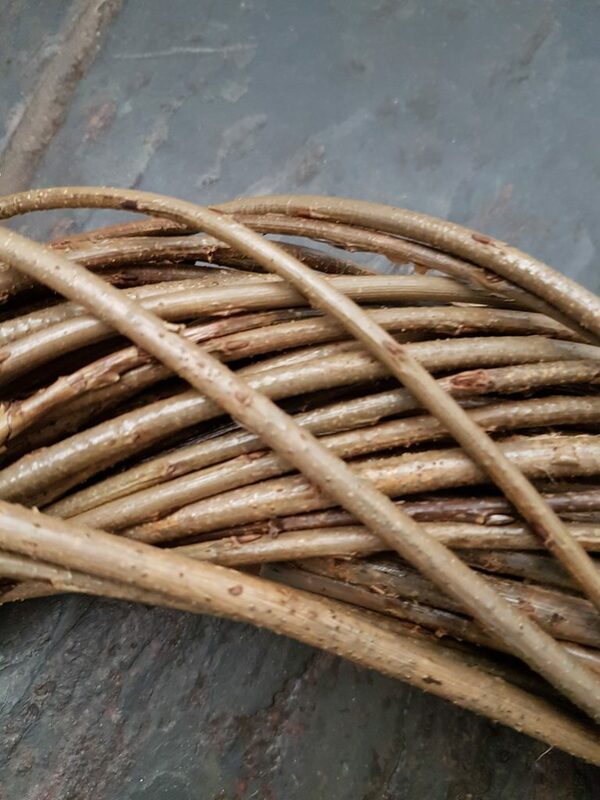 I am really doing it – The Crafty Lass workshops are really happening. 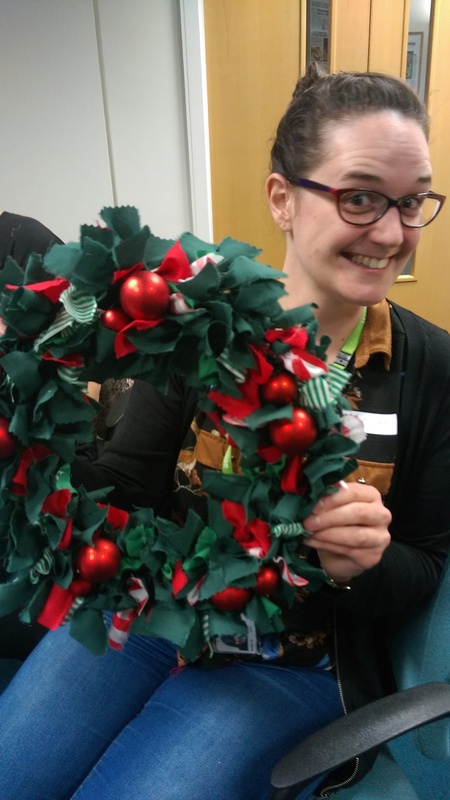 Of course, I have done other workshops pre-these, but perhaps it was just the festive atmosphere, lot of smiley and happy faces – it just felt very special and I can’t wait for 2016 and all the craft workshops of the future! 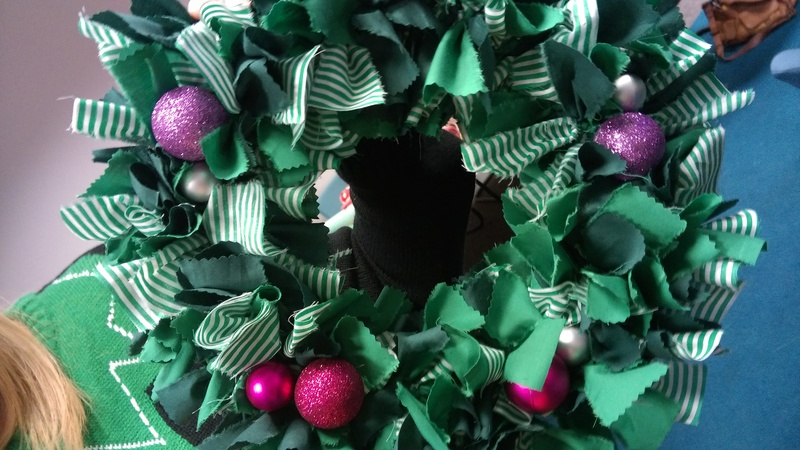 If you would like a The Crafty Lass workshop in your place of work (or at home, or in a local venue!) 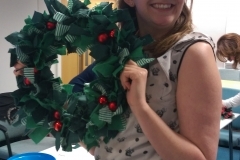 please do get in touch!